Jacinthe Gigou is an art historian. For the last four years, she has been the Director of Arkadia.be an association which helps people to discover Brussels through top-quality, specialist contemporary art guided tours. Arkadia enjoys unique collaborations with many museums and cultural institutions. Its guides are art historians who specialize in contemporary art. Their guided tours take members of the public to art galleries and exhibitions, to meet artists in their studios, and through the streets of Brussels to discover street art. Brussels enjoys a significant place on the contemporary art scene. It hosts internationally famous art fairs, such as Art Brussels and is home to many art collections and thus many art galleries and artists. One of the unusual things about Brussels is that buildings which house many art galleries and museums are often spacious former industrial buildings that can be used to exhibit huge works of art. Visitors can therefore discover exceptional works of art in unique buildings. Arkadia has built up an expertise in contemporary-art-themed guided tours and was the first to organize guided tours of art galleries in the city. Our tours are conducted in French and in English. Guided tours can be organized on any day that the buildings are open to the public. The guided tour price covers a group of between two and twenty people. Guided tours must be booked at least eight working days in advance. If you're interested in tour details or booking a tour in Brussels please click here. This old skating ring was transformed into an art gallery and offers an interesting exhibition program. Flagey is a culture house in Brussels devoted to music and the moving image. Located in a beautiful Art Deco building, it presents a rich program of concerts and films. 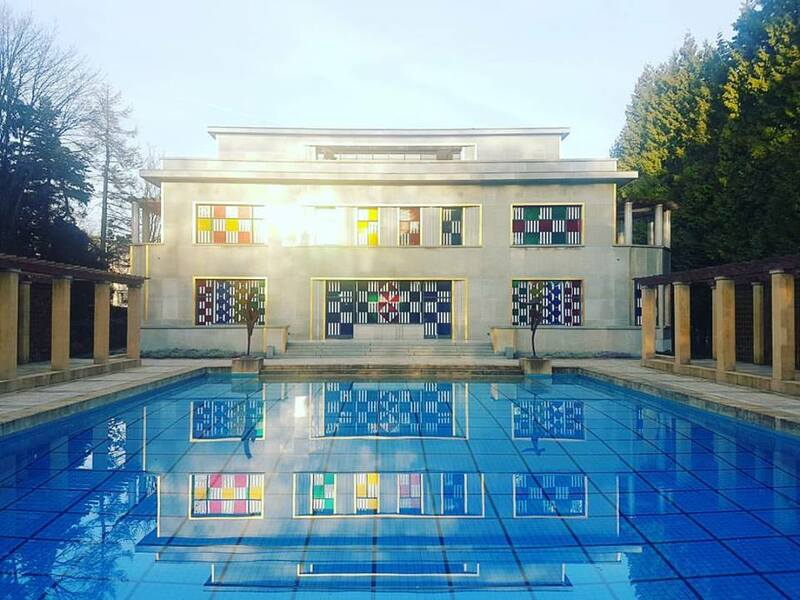 This splendid Art Deco Villa is home to the Boghossian Foundation since 2010. It promotes Art and is a center of dialogue between the cultures of the East and the West, offering a great program of exhibitions, concerts, and activities. An enjoyable hotel with a rooftop bar and an exterior pool - rare for Brussels! The MIMA is situated along the Canal in Brussels in an old Brasseries. Unique in Europe, this museum is dedicated to contemporary art and the history of culture 2.0.